A hallmark of good gardening is providing your plants with fertilizer, right? Well, not necessarily. Fertilizer is sometimes seen as a gardening “bandage.” Many gardeners are under the false impression that - if their plants look unhealthy or don’t produce - adding fertilizer will fix the problem. In fact, inappropriately adding fertilizer can be the reason for unhealthy or unfruitful plants. Let’s take a look at some fertilizer facts and review not just the do’s and don’t of fertilization but, more importantly, the “why’s” behind it all. Synthetic (also called non-organic) fertilizers are manufactured chemically. They are engineered to deliver nutrients rapidly. The faster the better, right? Well - as with all things, there are benefits and drawbacks to those quick-release nutrients. Any synthetic nutrients not taken up by the plants are very susceptible to leaching out of your garden beds or landscape. To put it another way: Synthetic fertilizers stay on the move. They are, essentially, a foreigner in the natural soil ecosystem. As a water-soluble product, they’re designed to be readily-available for root uptake. If they aren’t taken up, they travel on out into the environment at large to be taken up by other flora - or, ultimately, into watersheds or aquifers. For all of these reasons, careful and proper application of synthetic fertilizer is key. Most often, organic nutrients are not in a form that can be taken up immediately. Nutrients in organic-based or natural fertilizers rely on microorganisms in the soil to digest and break those nutrients down into a form that is - then - available to be taken up by plants. Natural fertilizers are slower to take effect in cooler weather because the microorganisms in the soil are less active. This breakdown process means that organic-based nutrients are very resistant to leaching and contain a very low salt index. The nutrients remain in the soil until utilized by plants, and there is very little risk of burning or dehydration - even in periods of extreme drought or over-application. 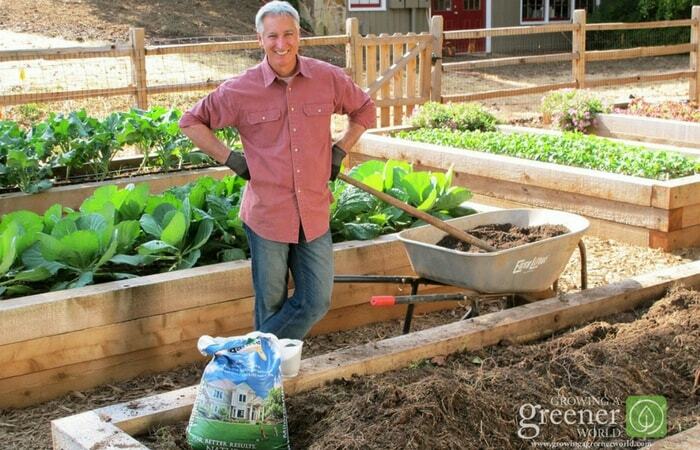 In a sense, organic-based fertilizers make themselves at home in your garden beds. They remain in the soil and provide ongoing effects. A Stanford University study performed an experiment on apple trees. They used synthetic fertilizer on some trees, organic fertilizer on other trees, and on a final group of trees, both organic and synthetic were applied. The study determined that approximately five times the nitrate leached from the synthetic fertilizer than the organic, and the combined approach leached the equivalent of half that of the full synthetic applications. Why does that matter? First, the money you spend on a synthetic fertilizer is, to some degree, washing away in the leaching process. Organic fertilizers are more expensive, but they will remain longer to provide additional benefits that I’ll touch on more in a moment. Second, those leached nutrients impact our environment. One example of this is when leached nutrients migrate into waterways. The additional nutrients cause increased algae growth, which sets off a chain reaction of impact on the environment at large. There’s a lot written on the impact of fertilizer migration into the environment if you are interested in learning more. The bottom line: Synthetic and natural fertilizers both have their place in the garden. My job is to help you understand how to use them effectively, efficiently and safely. Natural fertilizers will have far-reaching benefits in your garden, but they will be more expensive and results will be slower in coming. Synthetic fertilizers will provide quick results, but the package directions must be followed carefully and nutrient levels must be chosen wisely to prevent leaching. More is definitely not better when it comes to synthetic fertilizer. What exactly do those nutrient ratios mean? The numbers represent the percentage, by weight, of Nitrogen (N1 - always the first number), Phosphorus (P2O5 - always the second number) and Potassium (K2O - always the third number). Applying this simple phrase will help you remember that Nitrogen helps with plant growth above ground. Nitrogen does a great job of promoting the green, leafy growth of foliage; and it provides the necessary ingredients to produce lush green lawns. 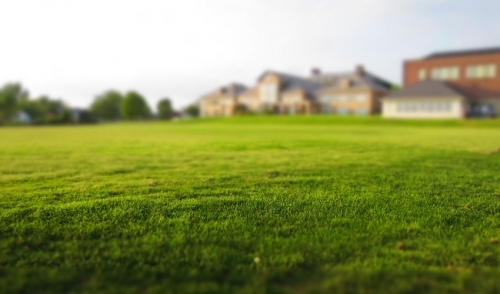 Lawn fertilizers will frequently have a high first number - a high level of nitrogen. Phosphorus is very effective at establishing growth below ground, in the form of healthy root systems. It is also the component most responsible for flower blooms and fruit production. You’ll notice that fertilizers designed for flower production, or starter-type fertilizers for your lawn, have a high middle number - high phosphorus. Potassium is considered important for overall plant health. This is primarily due to its ability to help build strong cells within the plant tissue. In turn, the plants withstand various stresses; such as heat, cold, pests, and diseases. For example, winterizer fertilizers will have a high third number - high component of potassium. A common type of all-purpose fertilizer is referred to as 10-10-10. This is a balanced blend of equal portions of Nitrogen, Phosphorus, and Potassium. If you purchased a 50-pound bag, five pounds (or 10%) would be Nitrogen (N1), five pounds would be phosphorus (P2O5), and five pounds would be potassium (K2O). The remaining 70% is simply filler, or inert ingredients, which are there mostly to help disperse the chemicals. So what do these fertilization ratios really mean to the home gardener? If you are a beginning gardener, are not opposed to using synthetic fertilizers, and you just want to provide your plants a good all-around fertilizer; a balanced 10-10-10 ratio would be a common recommendation. If you have wisely obtained a soil test ---- the test results may direct you to add a specific fertilizer ratio, like 1:1:3. This part might require a bit of math on your part - I know, it’s not my favorite subject either. 1:1:3 would be the same as 10-10-30 or 20-20-60 or 5-5-15. You may not be able to find any fertilizer available at a matching ratio, but don’t sweat it. These are guidelines. If all you can find is a 10-5-15 or a 10-10-20, that ratio will still get your soil going in the right direction. ----To boost lawn growth at the beginning of the growing season, a fertilizer with a high nitrogen ratio is your best option. The nitrogen will foster the growth of lawn foliage. In fact, many commercially-available lawn fertilizers provide a high nitrogen ratio and indicate zero as the phosphorus ratio (phosphorus is most likely to be unused and to leach into the environment). ----To toughen up your plants or lawn for environmental stresses - like drought or cold, then you’ll want a fertilizer with a higher ratio of phosphorus and potassium. During periods of stress, plants naturally enter a dormancy - they slow down or stop foliage growth. So adding nitrogen, in this case, may not be appropriate - you don’t want to fertilize for new foliage when the plant is trying to go dormant. Instead, your goal should be to promote cell structure and strong roots which continue to grow through those times of environmental stress - strengthening your plant to be more vigorous once environmental conditions are less extreme. ----To amp up bloom power of your shrubs and perennials, a fertilizer with a higher phosphorus ratio is most appropriate. This is the main reason you often see fertilizer with high phosphorus labeled as a “bloom” fertilizer. ----To increase production of your favorite tomatoes, a fertilizer with higher phosphorus and potassium ratios (low on nitrogen) is your best option. When buying synthetic fertilizer, those ratios will be front-and-center on the package, making it easy to customize according to your needs. But what about natural fertilizers? When buying commercially-available natural fertilizers, those ratios may also be provided. ----Heat-dried microorganisms’ slow release nitrogen – which can be available to the plant up to 8-10 weeks. ----What are head-dried microorganisms? These organisms have consumed nutrients in another environment and have died once all available nutrients have been consumed. The organisms are, then, preserved in a drying process to be added back to your garden environment to provide nutrients to the living microorganisms there. It’s similar to the process of leaves falling from trees in fall, to break down and be absorbed by the soil food web of the forest floor. It’s worth noting that natural and organic-based will not have an impact on your soil pH - at least not a significant impact. Soil pH is another topic altogether, and there are specific steps you can take to alter your pH. That said, virtually all organic ingredients will HELP to balance your soil to a neutral (6.5-7.0) pH. Compost is a great example of that. As you add compost, your soil pH will tend toward neutral. Fertilizers are most commonly-available in liquid or granular forms, spikes, or pellets. Liquid form can be a good option when you are in need of quick results. However, remember that liquid fertilizer is most likely to have a higher leach rate. What isn’t taken up immediately by plant roots will be washed away. I don’t recommend using spikes. They don’t provide an even distribution of nutrients. For a slow and steady feeding, I prefer granular or pelletized organic-based or natural fertilizer. They are the easiest forms to distribute evenly, and they are taken up more slowly by plant roots. If I’m looking for a quick boost to supplement the organic matter I apply to the soil, I use an organic or natural liquid fertilizer, usually a fish emulsion product to provide the nitrogen infusion I’m after. ----Are your plants receiving appropriate light? Conditions in your landscape can change - trees can grow and shade out plants you originally placed for full sun. ----Are your plants receiving appropriate water? Watering systems can malfunction, leaving plant roots drowning or gasping for a drink. ----Is your soil pH out of balance? If you haven’t gotten a soil test to rule out pH as your problem, I highly recommend starting there. ----Did you over-fertilize? Improperly fertilizing (especially with a synthetic fertilizer) can cause more harm than good. Be sure to read the fertilizer label for proper application to avoid burning your plants. ----Are there any pests or diseases at work? Yes, fertilizing can improve your plant’s resilience to stand up against pests or disease, but fertilizer won’t solve this problem. Check out some of my other resources on management of these garden foes. If this all feels like too much to think about, don’t worry! Anyone can do this, and do it like a pro. Just learn each aspect step-by-step. I have lots of additional information already available to help you, and there is much more to come. 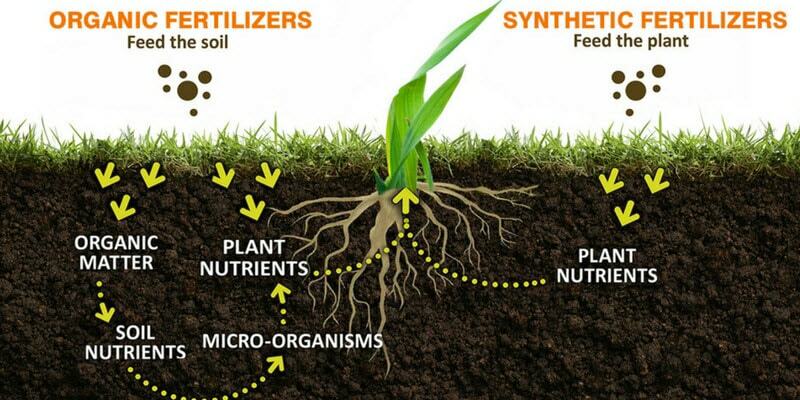 Now you have a better understanding of the pros and cons - the why’s of fertilizing. This will help you make the best choices for your garden and lifestyle. You may be wondering what I prefer. I’m glad you asked. In general, I prefer not to fertilize. If you’ve listened to my recent podcast series on raised bed gardening, you know that I build up my soil with a “recipe” of organic materials, and I keep feeding that nutrient “bank” with organic amendments once or twice each season. Those organic amendments feed the soil, so my soil can feed the plants. All that organic material also helps my soil maintain optimal moisture balance and increases overall disease- and pest-resistance in my garden. The higher your soil is in organic matter (5% by weight is the ideal, but even 2% is considered good) the better the structure overall - meaning improved drainage and an easier medium to plant in and work with. I take the same approach with my lawn - using only organic-based or natural amendments - and I am rewarded with a lush, green lawn that doesn’t require much supplemental watering. By broadcasting compost in my lawn, I am improving soil health and aeration. That fosters better development of grassroots and means my grass is naturally able to withstand extreme conditions - like drought and heat. Don’t get me wrong - it doesn’t mean my lawn is bulletproof but pretty darn close. There are instances when I use natural fertilizers on my lawn and garden. During my seasonal garden amendment, I often add just a little kick of natural fertilizer. When growing heavy feeders like tomato plants or containers, I will add a bit of natural fertilizer two (sometimes three) times during a growing season. For lawns and landscaped beds, my favorite organic based fertilizer is Milorganite. In raised beds, I also use fish emulsion and worm effluent (from my vermicompost bin) and diluted at 10 to 20 parts with water. I get amazing results from each. Personally, I don’t use synthetic fertilizers in my landscape or garden, and I don’t add any type of fertilizer to planting holes or through my irrigation system. I prefer to make the longer-term investment of natural ingredients that have kept my gardens looking television-ready for years. I’ve often been asked about disposing of fertilizer. If you have fertilizer that you no longer wish to use in your garden or landscape, don’t simply throw it in the trash or flush it away. The nutrients in that fertilizer make their way into our environment through the landfill, and they can have long-term negative effects. You’ll need to contact your county or city government and ask them when and where you can go to safely dispose of your unwanted fertilizer.